Pushcarts have a rich history in America, dating back to the mid-1800s. 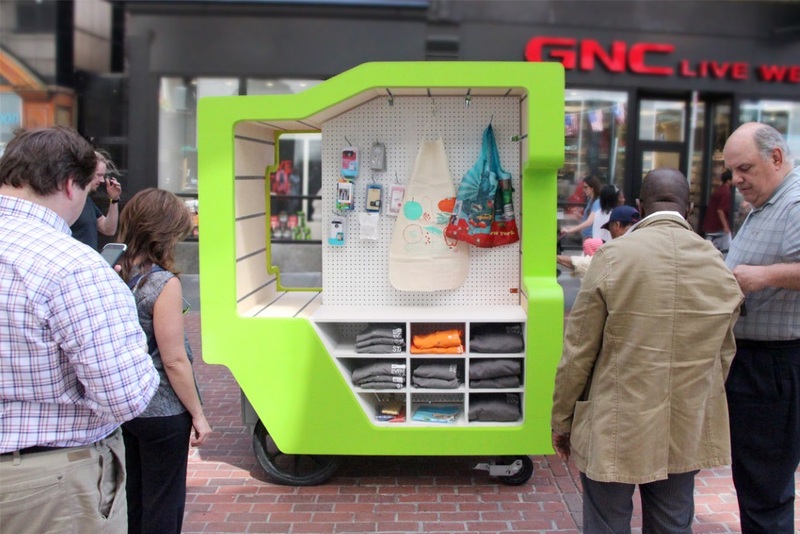 Radlab, a consultation design firm, thought the layout needed an upgrade for the modern vendor and created the Modular Urban Vending (MŪV) cart. MŪV has no fixed interior system allowing vendors to customize how they display their merchandise using a track-and-bolt system. During the rougher weather, vendors can even adjust the interior layout to protect their products with the option of placing items at the front of the cart and on the inside. A storage unit on the bottom gives vendors a location to properly store their earnings and more delicate objects. Radlab created the MŪV for Boston’s Downtown Business Improvement District, a non-profit corporation that serves Boston’s downtown community. These models serve as an alternative to the wagon-wheel carts commonly found in the city for vendors to rent.